As a bestseller, it’s the most enduring album in history. 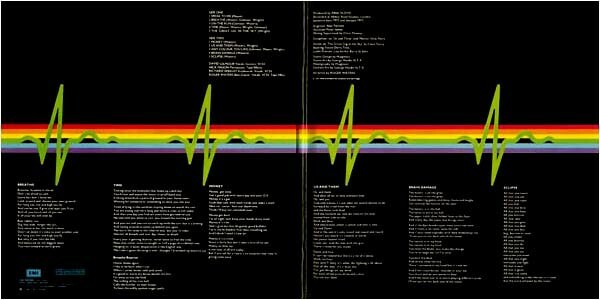 The Dark Side of the Moon is estimated to have sold 45 million copies, placing it third in the list of all-time bestsellers. Unlike other bestsellers however, it has achieved this status due to its perennial popularity – sales of the album have been remarkably steady since it’s release on March 1, 1973, and have placed it in the Billboard Top 200 for 937 weeks as of 2018, by far the record number of weeks any album has made the list. The number 2 album on this list is Legend: The Best Of Bob Marley and The Wailers, which distantly trails The Dark Side of the Moon at a “mere” 510 weeks on the chart. Like Sgt. Pepper’s, The Dark Side of the Moon was recorded at London’s Abbey Road Studios, incorporated the use of sound effects and other nonmusical sounds in addition to a musical palette extended beyond that of “standard” rock band instruments, and featured the groundbreaking use of new recording techniques and technological innovations. Unlike Sgt. 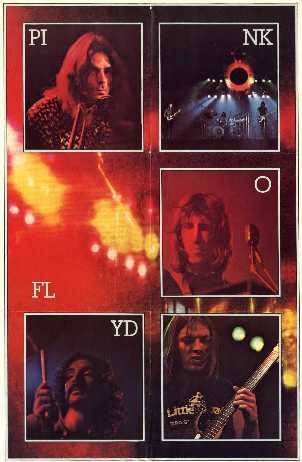 Pepper’s, The Dark Side of the Moon‘s success was primarily due to the music and the album itself, and was not fueled by or dependent on the public personalities and celebrity of the band’s members, as was the case with Sgt. Pepper’s. 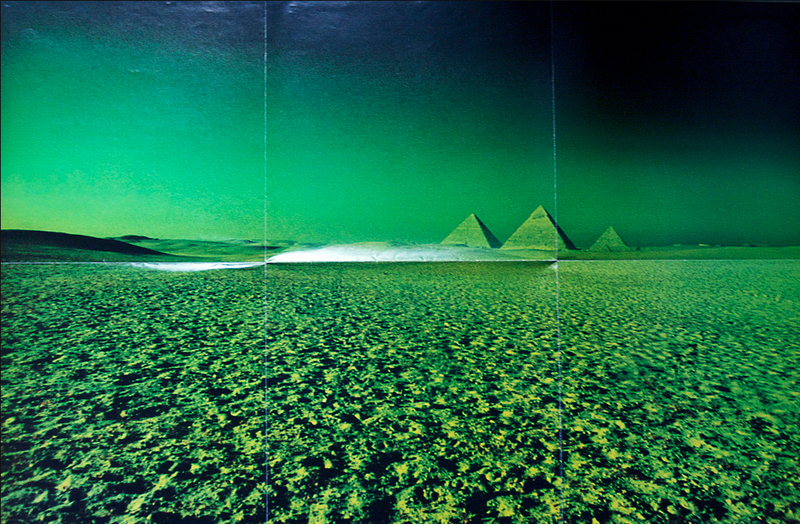 The original artwork for The Dark Side of the Moon by Hipgnosis did not feature any images of the band members on the inside or outside of the album cover, but only on posters that were included as inserts inside the record sleeve. 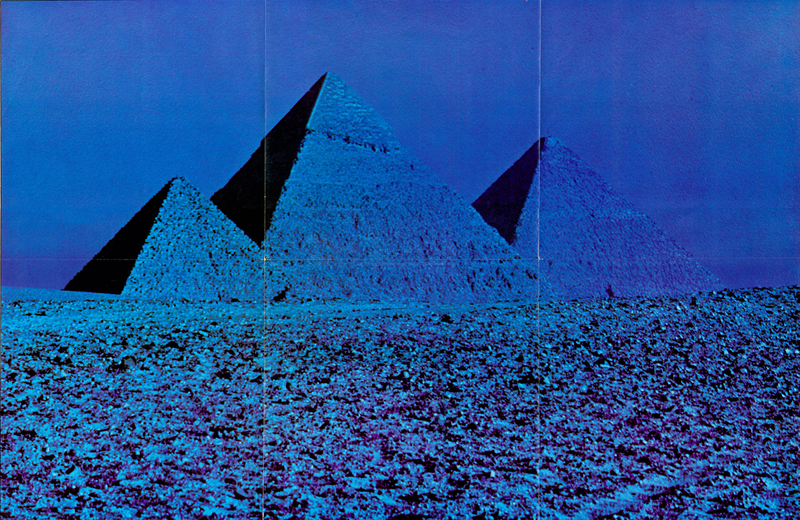 “The triangle is the sign for ambition… and I think that that tied in with some lyrics that Roger was writing, and this in itself tied in with pyramids, and pyramids seem to be really good symbols for sort of, madness and greed.” said Storm Thorgerson of Hipgnosis, who designed the artwork and produced the concert films that accompanied live performances of The Dark Side of the Moon. If you have not heard the album before, by all means set aside three-quarters of an hour, put on your headphones, and listen to it here. Unlike most rock albums, The Dark Side of the Moon is largely an album of instrumental music. Of its 43 minute runtime, more than 27 minutes – nearly two-thirds of the album – do not feature sung lyrics. While some of these 27 minutes do feature wordless sung backup tracks, Clare Torry’s heart wrenching, wordless solo on The Great Gig in the Sky, and brief spoken quotes taken from interviews conducted around the recording studio when Pink Floyd was making the album, more than 20 minutes of the album – nearly half of it – do not feature the human voice at all. This is not to say that the lyrics are not significant. 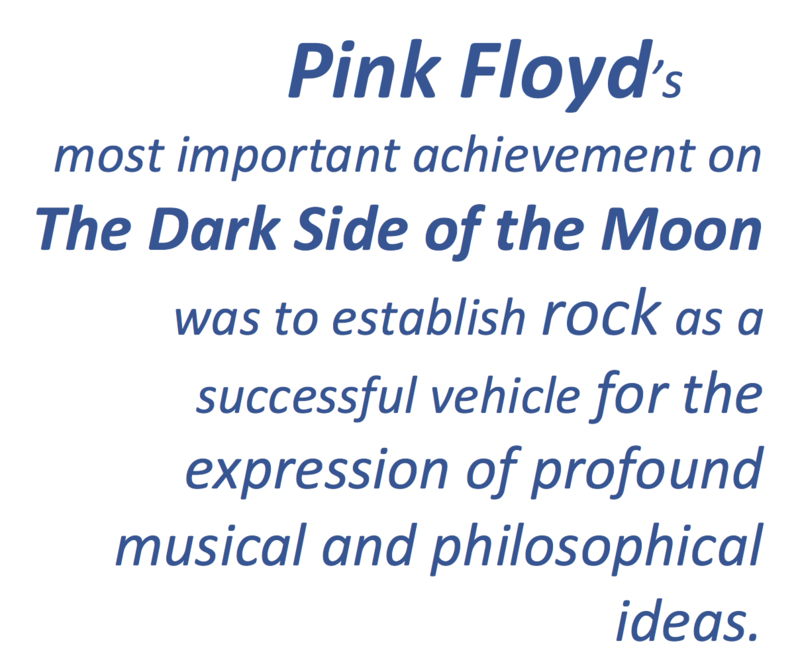 On the contrary, the lyrics for The Dark Side of the Moon describe the album’s themes more directly than on Pink Floyd’s earlier recordings, even if this message is often delivered through metaphor, irony, satire, or allusion. Bassist and vocalist Roger Waters wrote all of the lyrics for The Dark Side of the Moon, setting a precedent that would be followed for the band’s next four albums, and until Waters left the band in 1985. 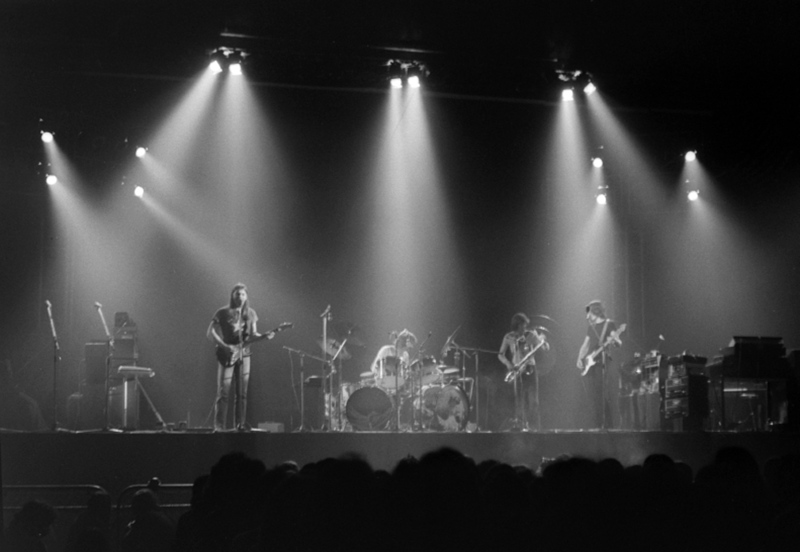 Pink Floyd and engineer Alan Parsons also employed musique concrète techniques when assembling several parts of the album. This is a twentieth-century avant-garde practice in electronic music composition that intentionally obscures, misrepresents, or disconnects sounds used in musical composition from their original sources. For instance, many of the sound effects meant to represent sounds from “real life” on the album were actually produced on EMS Synthi AKS and VCS 3 synthesizers, in addition to their more obvious use to create “musical” sounds. 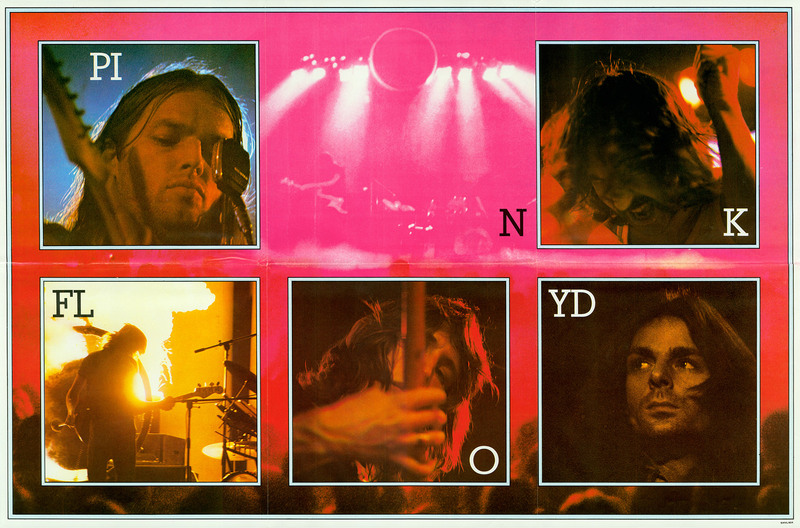 Pink Floyd’s music is often described as “psychedelic” rock (inspired by psychedelic culture and the use of hallucinogens) or “progressive” rock (departing from usual pop music conventions including song structure and instrumentation, including influences from other genres such as folk, jazz, or classical music). Progressive rock is a relatively recent term – when I began listening to Pink Floyd in the 1970s I would have used the term “art rock”. Harmonically, most of The Dark Side of the Moon has more in common with jazz than it does with most rock music. Sonically colorful textures and extended chords abound: Major and minor seventh chords, ninth chords, suspensions, even diminished and altered chords are occasionally employed to great effect. None of the music on The Dark Side of the Moon sounds remotely like jazz however: the rhythms never swing. Some sections of the album feature ostinato melodic and rhythmic patterns or repeated simple chord sequences in the manner of minimalist classical composition. These episodes produce an almost hypnotic, contemplative effect on the listener. Tempi across most of the album ranges from slow to moderate, with only Money pushing the pulse to a moderate Allegro. True to its rock roots, most of the songs are in quadruple meter (four beats per measure) with a backbeat, with two significant exceptions: Money is in seven, and Eclipse is in three. The Dark Side of the Moon makes extensive and effective use of symbolism. Unlike signs – which directly represent something else – symbols are images, sounds, words, or gestures used to describe concepts, beliefs, or complex ideas that are subject to flexible, individual, and multiple interpretations. The Dark Side of the Moon provides each listener with a set of powerful, ancient symbols – sonic and visual imagery – with which to make his or her own connections, interpretations, and ultimately, meaning. 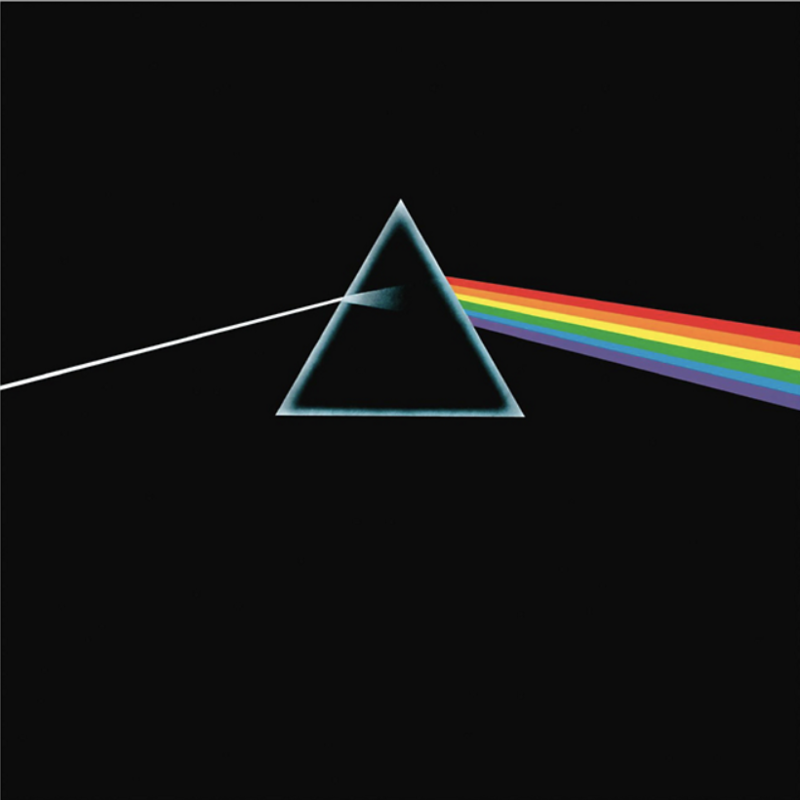 The fundamental concepts that these symbols relate to are Light and Darkness, as represented on the iconic album cover: a stream of white light refracted through a triangular prism into the rainbow of its constituent parts, surrounded by darkness. The flow of the music forms one continuous whole from the beginning of Speak To Me to the end of Eclipse (although the LP format on which it was originally released necessitated a separation into two parts for each side of the vinyl record). By walterbitner in Music, Philosophy, Rock on July 29, 2018 . Floyd has been my favorite band of all time l have never herd any other band that has influenced my musical direction thanPink Floyd.